Welcome to your new home in paradise! 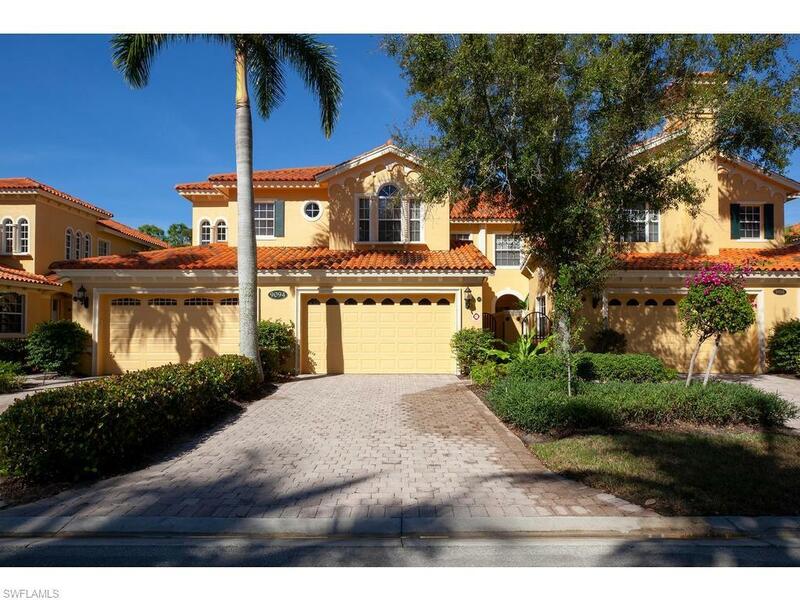 Highlighted by the gorgeous golf course and lake views, this spacious, first-floor end coach home with 3 bedrooms plus study and 2-car garage includes the interior turnkey designed furnishings, allowing you to enjoy Florida living immediately. 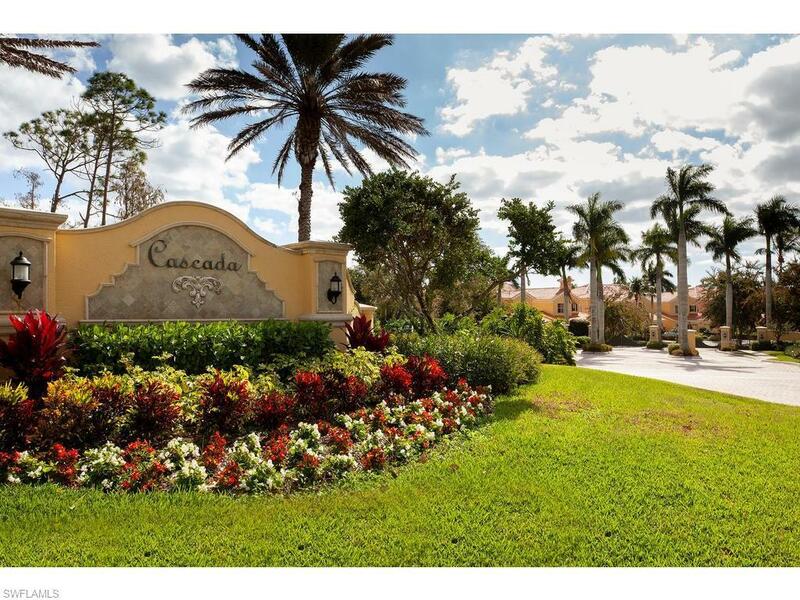 A double gated entry, courtyard & lush tropical landscaping invite you into your flowing great room floor plan featuring crown molding, custom closets, jetted tub, tile floors, walk-in closets, and volume 12 foot ceilings. The upgraded kitchen offers granite counters, stainless French door refrigerator, gas cooking & pantry. 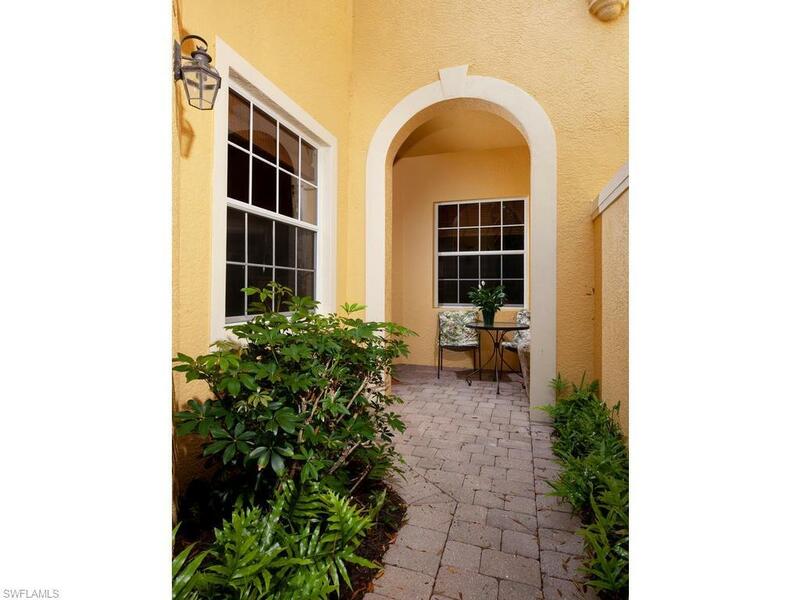 The large oversized tiled lanai overlooks northwestern golf course views with beautiful sunsets. With over 2,400 square ft living area laundry, storage and sink, no stairs or elevator, this condo lives like a private home without the maintenance. 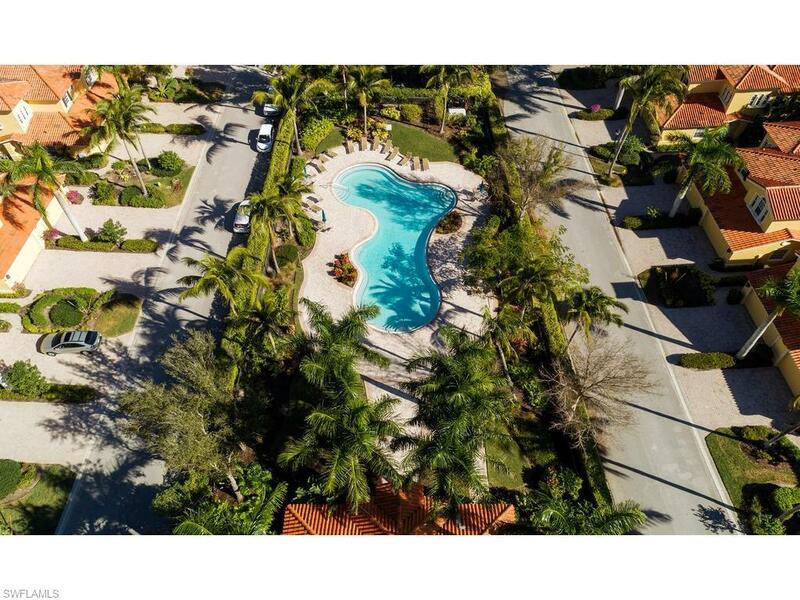 Excellent location across from the Cascada pool and one-half mile from the Award Winning Fiddlers Creek Clubhouse, with resort-style pools, tennis, fitness, pickleball, sauna, spa services, 2 restaurants, and extensive activities. Optional golf, beach and marina memberships are available. Conveniently located to Marco and downtown Naples.